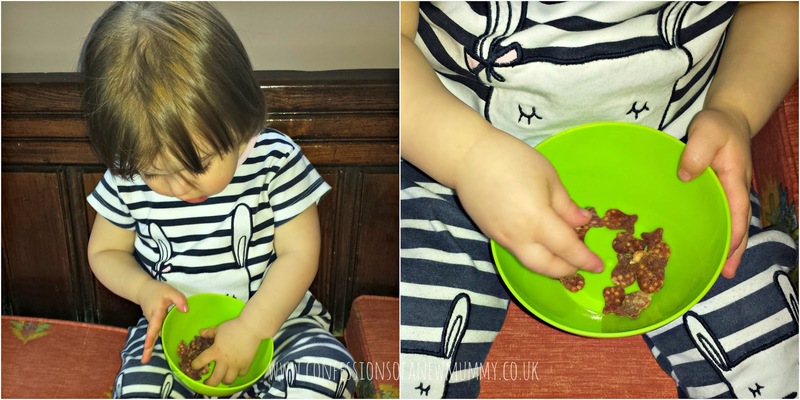 The lovely folks at Kiddlylicious recently got in touch to see if E would like to try some of their new products. Seeing as she is a big fan of their smoothie melts, we jumped at the chance. 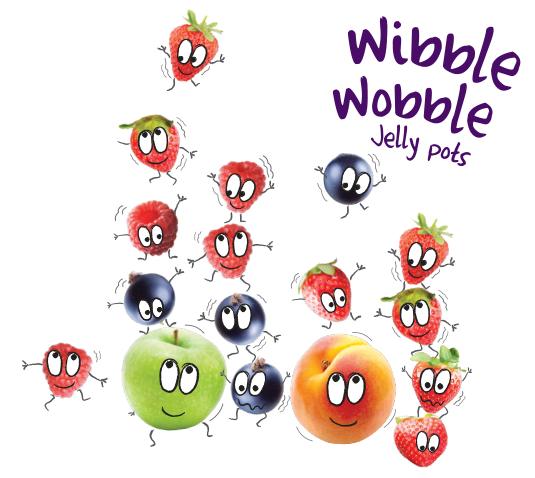 I had high hopes for the Wibble Wobble Jelly Pots and I did try some myself. I wasn't keen on the texture but the flavour was really rather nice and quite sweet. As many toddlers do, E is having a little bit of a picky phase when it comes to food and won't touch much in the way of fruit (currently banana and anything from a pouch, otherwise nothing) so I thought she might like these. Unfortunately, somewhat disappointingly, E wouldn't entertain the idea of even tasting them. When I did manage to pop a little on her lip to taste, I think she did like the flavour but was being stubborn about eating it! She hasn't been keen on trying jelly before but I had hoped she would find the texture on these better. No chance, she wouldn't touch them. So I passed some along to my sister-in-law for my niece to try and I'm pleased to report that she got further than I did. K not only tried them but wolfed down the jelly.... and left the fruit pieces! Apparently she really enjoyed it. I really like the idea of these and think they are a great way to get more fruit into little ones - if they'll try them! As we're in the early stages of weaning T, I have kept some aside to try with her when we are further down the line and I am confident she will enjoy them. These fun, fish shaped fruit snacks are made from real fruit and fruit juice, pureed and mixed with crispy rice pieces. Tasty and packed with fruit, they have no added sugar and count towards your 5 a day. We had more success (eventually!) with these. I popped some in a bowl for E to try. She took one look at them, touched them and pushed them away. I kept trying her with them and eventually she tasted one and had a couple more. I think she liked the flavour but was unsure of the texture – she seems to be going through a phase of preferring harder and crunchier textures. I left them to one side again and after a few days she wolfed some more down – straight out of the packet, rather than a bowl. I think the fact that they were in the packet may have had something to do with it and if I saw these when we were out I would definitely grab some for her to munch on. Again I tasted them myself (and so did D) and we really liked them! Just to be clear: we were sent some Wibble Wobble Jelly Pots and Raspberry Crispie Tiddlers for the purpose of this review. All words and opinions are my own. Hello Kate! Thank you so much to you, your daughter, and your sister-in-law and niece for trying our new Jellies and Tiddlers. We're so glad you enjoyed them in the end. When Sally set up Kiddylicious she had young children and knew how hard it was to get them to eat fruit so we really understand what it's like. It takes perseverance!